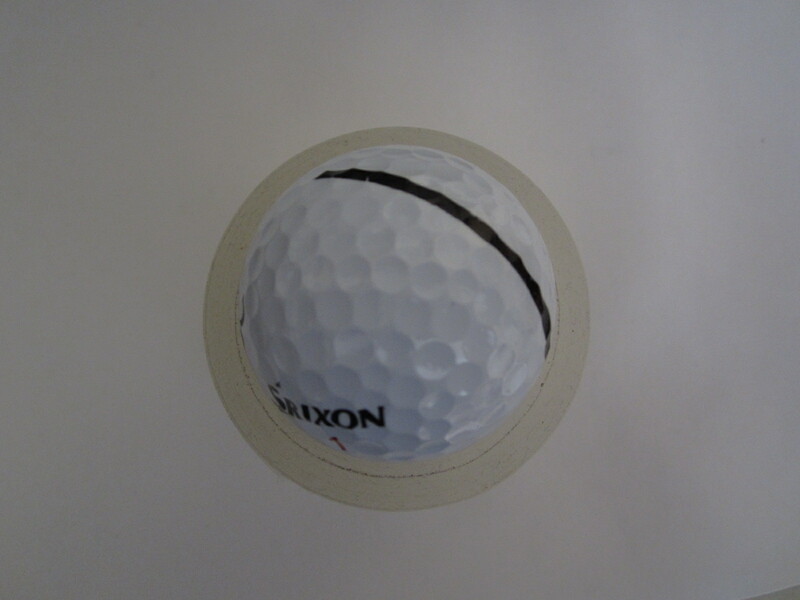 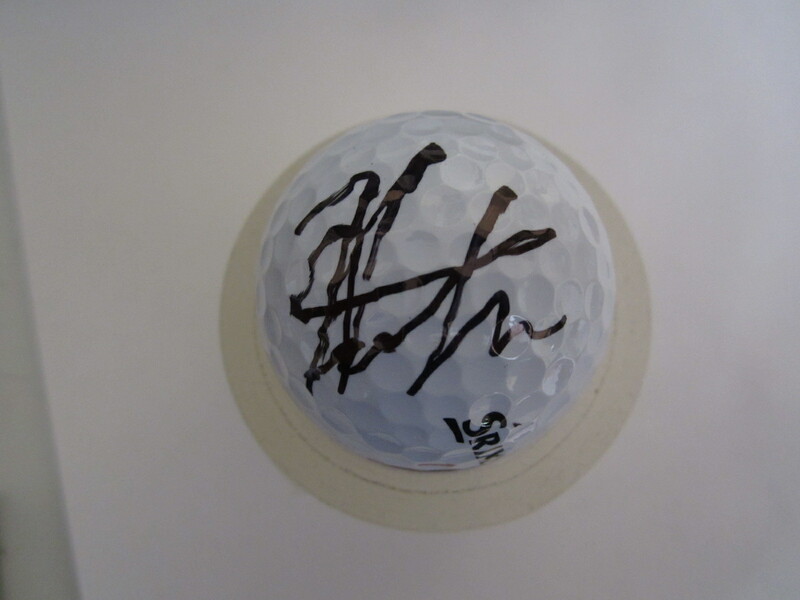 Srixon golf ball used by Japanese PGA Tour superstar Hideki Matsuyama during the Sunday final round of the 2014 Farmers Insurance Open marked with a black stripe as a putting aid, and autographed in black marker. Obtained in person, with certificate of authenticity from AutographsForSale.com. ONLY ONE AVAILABLE FOR SALE.